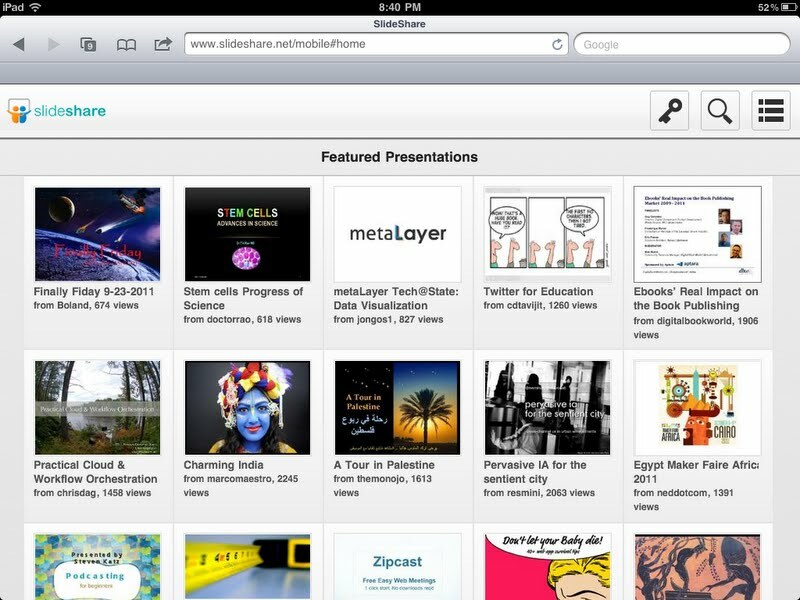 SlideShare, the website for sharing PowerPoint presentations and other documents, has had a major makeover. The company has ditched Adobe Flash (s adbe) technology entirely, and rebuilt its website using the HTML5 markup language, SlideShare co-founder and CTO Jon Boutelle will announce at GigaOM’s Mobilize conference Tuesday. Starting Tuesday, SlideShare’s site will be displayed in HTML5 on both desktop and mobile devices, and all new documents added to the site will be rendered in HTML5. 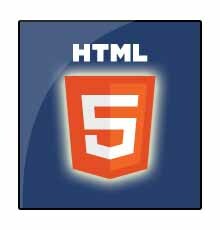 Over the next several weeks, the company will be porting its entire back catalog of five years’ worth of presentations to HTML5. SlideShare expects the conversion to finish by year’s end, Boutelle said. SlideShare is certainly not alone in doubling down on HTML5. Facebook’s new Timeline interface relies heavily on HTML5, and the company’s CTO Bret Taylor has said that the markup language will be a huge part of the company’s development efforts going forward. Apple (s AAPL) has been one of HTML5’s biggest proponents, as has Google. But it’s shaping up to be even more interesting to watch how smaller companies like SlideShare adopt the platform for their own products. Doesn’t this create a massive problem for Apple, I mean this is the main reason why they banned Flash in the first place? I use Firefox 7.0.1 and the main page and also many slides still require Flash. Did I misunderstand something? Or are they migrating slide by slide to HTML5? From the looks, they are only sending the HTML version to idevices. So they have a hateâ€on for the rest of the Web. Sorry, this is dribble. All the major browsers now support HTML5 to some extent: HTML5 parse algorithm, support for a chunk of the newer form and sectioning tags, css animation, etc. There is only one large compatibility issue and that centres around codecs used in the media tags. Not something that should dissuade anyone from using HTML5; just encode into webm and ogg theora and dont worry about it. Are these “slideshows” just static pages? People still use this garbage? For those who understands exactly what this means, this is AWESEOME news! If “This is the hardest thing [you]â€™ve ever done”, it’s time to get a better development team. I viewed the source, it is not HTML5. JFYI. Rather lame. Scribd made the switch a year and half ago. too bad it’s not xhtml 2. html 5 is just a shoehorn version of it. For their use case I would have to agree the choice of HTML5 was the right one. The decision not to support the AppStore & Market will hurt them in the short term though and they have missed several cross-platform solutions that would have both allowed them to focus on HTML5 and deliver apps to each platform. I think its a bout time. I actually stopped using SlideShare as having a SlideShare page open in my browser would burn my battery to a cinder, I reluctantly stopped posting my slides and using the embed features due the use of flash. This will actually revive my interest and use of the site, good work. perhaps it will also send another message out to browser vendors that they should be supporting HTML5. Congrads to the slideshare team! Looks like they were able to solve several technical challenges to accomplish this. The end result (HTML+CS+JS) is quite impressive! Confused about this, what about all the IE6, 7 and 8 users that have no capacity to render HTML5? What are these many unfortunates going to see? Hi Andrew, good question. The company says that some older versions of browsers will still see a flash version of SlideShare. But the default for everyone else will be an HTML5 site. Ditches flash but still show flash for half of the visitors? I dont think most of people understand this. Doing slideshows in 2011 isnt the most advanced multimedia you can do. This is huge! I love that they switched over. It means that I am going to be spending more time on the site in order to maximize the search.